I was absolutely overwhelmed by the thoughtfulness and generosity of my family, friends, co-workers, and neighbors during my pregnancy and in the days and weeks following Eva's birth. I was hardly allowed to do anything at work--even the lightest box was carried for me and people were always encouraging me to sit down and rest. I didn't even have a baby shower and Eva was still given everything she could ever want or need in these first few months, including some things I had no idea would come in handy! After she was born, visitors almost always brought something edible, and let me tell you, nothing is more awesome than that when making dinner is the farthest thing from your mind (not that you have time to do it anyway!)! Because of the benevolence of these people, I felt compelled to do something for some of them in return. I opted for bags of homemade glazed nuts and heartfelt cards from American Greetings. Giving someone a card with a meaningful message is one of the best ways to brighten their day, lift their spirits, recognize an achievement, celebrate an occasion, or, in this case, show your appreciation. You might say you're presenting them with a "random act of cardness," because every moment, big or small, can be worthy of a card. A few simple words can mean so much and might have a greater impact than you realize! Since I was in card-giving mode, I decided to bestow two other "random acts of cardness" cards in addition to these thank you cards and gifts. 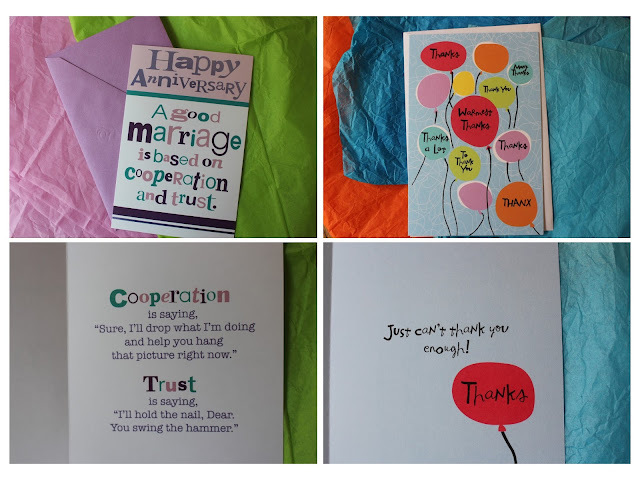 My husband's parents are celebrating their anniversary tomorrow, and that's definitely worthy of a special card! Also, Parent's Day is coming up on July 23rd, and it's safe to say that I have a new appreciation for all parents everywhere and will be sending a card to my own to commemorate this day. Nana and Papa and Granny and Pawpaw have been invaluable to me and to Eva! 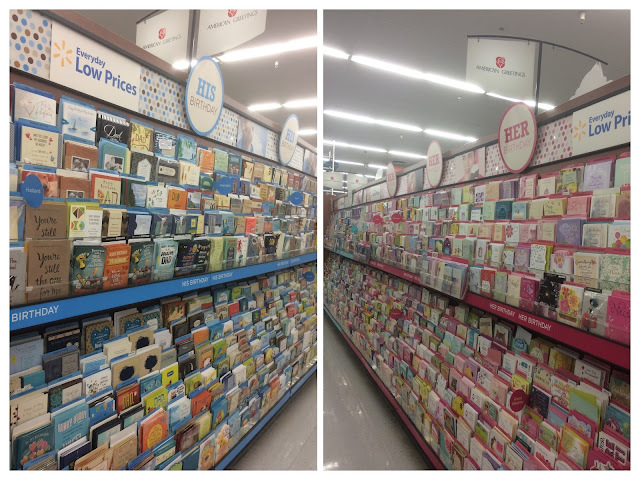 Deal alert: Purchase Any American Greetings® Card at Walmart and earn $1 on Ibotta while supplies last (each card must be priced $2.97 or higher pre-tax). The glazed nuts are easy to make (so important these days!) and to prepare for gifting, especially when using products from American Greetings. Their bags are bold and colorful and they offer every hue of tissue paper and bows imaginable. After all, generous deeds deserve delicious gifts that are gloriously decorated! Isn't there someone in your life that deserves a special card and treat? Preheat oven to 300 degrees F. Line a cookie sheet with aluminum foil. In a large bowl, vigorously whip the egg white and water until frothy but not stiff, about a minute. Mix in the sugars, salt, cinnamon, paprika, and cardamom, making sure there are no lumps. Add the nuts and stir to coat evenly. Spread the sugared nuts in a single layer on the prepared cookie sheet and bake for 35 minutes, stirring occasionally. Remove the pan from the oven and separate the nuts as they cool. They may want to stick to the foil, but don't let them. When completely cool, pour the nuts into ziplock baggies, breaking up any that are determined to stick together. Oh Grace, you are so sweet...even busy with Eva you find time to send homemade gifts to the ones that helped you...these glazed nuts sound and look delicious, I like the paprika and the cardamon in it. Grace, you're the cutest! I love random acts of cardness :). Eva has a great role model in a mama who makes glazed nuts as a thank you. Have a great week, my friend. Say hi to Eva from me! That's just nice! And those glazed nuts are awesome with all my favourite spices, Grace. What a great idea. What an exciting time in your family's life. Much love to you. I am so glad you felt so much love from family, friends, neighbors, and co-workers. The cards are adorable and the nuts are such a great gift idea! How wonderful to have such a strong support system and so much love at this time in your lives. The cards and nuts are such thoughtful gifts. It's wonderful that so many people showed you and your new baby so much love!! It's so helpful to have that, especially in the early months! Those nuts look delicious. The glazed nuts are a must! Excellent recipe! How do you celebrate Parents' Day? What a delicious and sweet gesture of thoughtfulness! At a time when you've got your hands full and are probably sleep deprived, it's a gift that I'm sure none of them ever expected, but are thrilled to enjoy. I always say that giving gives more happiness than taking! So nice of you to send these homemade gifts! The glazed nuts look divine!